Founded in 1912 by Elwood Haynes, Haynes International is the largest producer of high performance Nickel and Cobalt based alloys in the world. The company manufactures a wide range of products such as coils, Sheets, plates, seamless tubes, welded tubes, slabs, billets, bars and wires. The company specially manufactures high temperature resistant alloys for chemical, aerospace, and industrial gas turbine industries. Haynes have built a huge portfolio of products over the years. The range of products include, Corrosion resistant alloys such as Hastelloy B-3, Hastelloy C-4, Hastelloy C22HS, Hastelloy C-276, Hastelloy C-22, Hastelloy C-2000 and more. High temperature alloys include Hanes 75 Alloy, Hanes 25 Alloy, Haynes 214 Alloy, Haynes 230 Alloy, Haynes 188 Alloy, Hanes 242 Alloy, Haynes 263 Alloy, Haynes 718 Alloy and more. Titanium Alloys made by Haynes include the Haynes Ti-3Al-2.5V Alloy. The corrosion-resistant alloys as used in many chemical processing industries. These alloys are resistant to hydrochloric and sulphuric acids. High temperature alloys are mostly used in gas turbine engines. 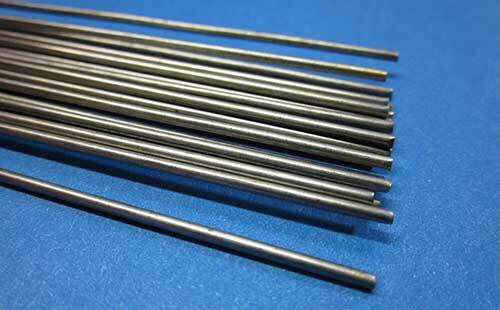 The Titanium alloy was specifically developed for aircraft hydraulic and fuel transmission lines. It has a high strength to weight ratio, which makes it highly usable in hydraulic tubing lines.